If you’ve stopped by recently, you’ll have noticed a few changes. It’s been a long time coming, but the site has finally undergone some well overdue maintenance. 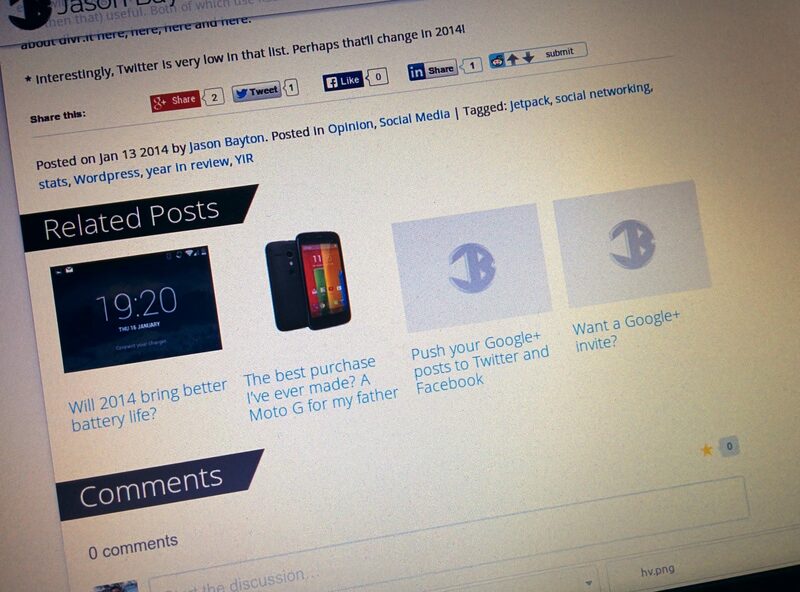 So far this month I have applied a new, custom written theme and changed the comments system to Disqus. The theme is an interesting one for me – I have very, very little knowledge of PHP so to create a WordPress theme out of a HTML template I’d previously created seemed quite daunting. Thankfully the WordPress codex is an incredible resource that practically walked me through every step. Sure some of it left me stumped, but a quick Google generally got me the answer I was looking for. For a number of years, I’ve treated bayton.org as a tech site. That is, a site dedicated to posts for tech reviews, guides and projects. The way it’d been previously set up and the way I chose to use the site felt like a limitation for me going forward, I felt like I could only post about tech as there was little to no capacity for posts of any other nature. I wanted to change that and the only way I felt I could do so was with a new theme, shake-up of current taxonomy and a focus on different topics throughout the site. However these changes will probably now be made sometime after the New Year. Also in the New Year will be the start of my project to bring all of my websites under one roof utilising WordPress Network. That means one site, one database and a lot less hassle in handling content on different CMS solutions spread throughout my various hosted services. The other change was to the comments system. I’ve always used WordPress comments. They’re fine and all but generally require the reader to have an account either with my site or with WordPress.com to leave a comment. I’ve taken a look around the popular tech blogs I know of and Disqus seems to be nearly everywhere. Therefore, I’ve jumped on the bandwagon! This is again being reviewed in the coming weeks, but over-all I think it’ll likely stay. I’d considered integrating Google+ comments, Facebook comments and some other 3rd party solutions but none quite worked out of the box as nicely as Disqus. A post for post’s sake I suppose, but I felt like sharing the news. Do you have feedback to share? Let me know in the comments or send me a message.